The many lovely members of our book club - what a turnout!! 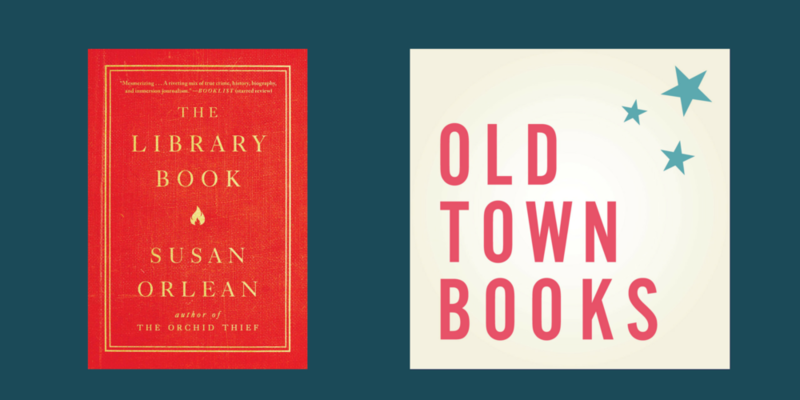 This past Saturday morning, we held the third edition of our very own Old Town Book(s) Club, discussing Susan Orlean’s The Library Book, a beautifully-crafted work of nonfiction about the fire that devastated Los Angeles’ Central Library in 1986 which expands outwards into a celebration of the cultural role of libraries. We got 30-plus very enthusiastic readers and commenters in our store to talk about the book, and everyone, even those of the club who don’t normally read nonfiction, was blown away by Orlean’s powerful prose and deeply-researched narratives. Something that kept coming up was that her characters seem to step right off the page, which in my eyes is the mark of any great work of literature, whether fiction or fact! I’m always struck by how many people come and how thoughtful everyone’s comments are. It’s truly a great and welcoming group (as before, about half the group were first-timers), so if you’re unsure about joining the book club as a new member for May, don’t hesitate - everyone’s welcome (and we’ll have nametags this time)! It was my honor to host the club for the first time, and with this book club, it was hardly daunting at all. Hopefully I’ll get to host again soon! Whether you’ve attended either of our first three book clubs or not, we’d love to have you for May’s club! We’ll be meeting to discuss Esi Edugyan’s Washington Black, a powerful, globe-spanning narrative which covers the (fictional) life of the titular Black, who is born into slavery in Barbados, eventually earning his freedom and traveling to London, Morocco, and Antarctica, among other places. Despite its fascinating portrait of the expanding forld of the 19th Century, the book is also a powerful meditation on the meaning of love and freedom. The club meets May 4 at 10:00 AM, and as always, it’s free to attend, if you buy the book from us you’ll get a 15% discount, and there will be coffee and donuts!